Discuss CoasterDynamix, KNEX Models, and more random stuff! Small, but satisfying update this week. The elevator is in place, and functions very well with the coaster. Track is going up fast now! 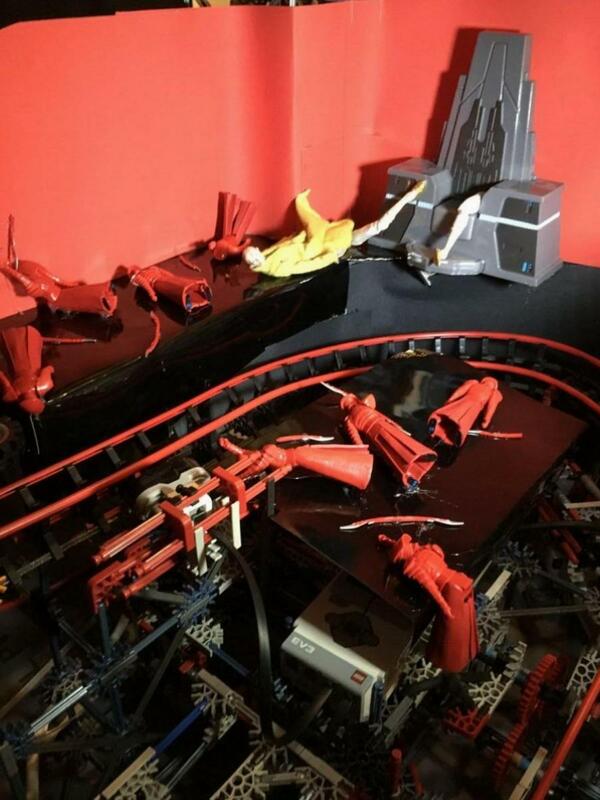 I re-profiled the end of the ride and built an inclined dive loop. Looking good! I love the elevator lift, and the reverse dive loop! ^Thanks! I'm getting excited now that the trackwork is almost complete. Got the switch track all fine-tuned and installed! A slightly more nerdy update this week - I've developed some weird contraptions in order to create a pseudo "block brake system." I actually thinks it's pretty cool. I have installed a top hat! One of the final elements! Wow I can't wait to see the final product. 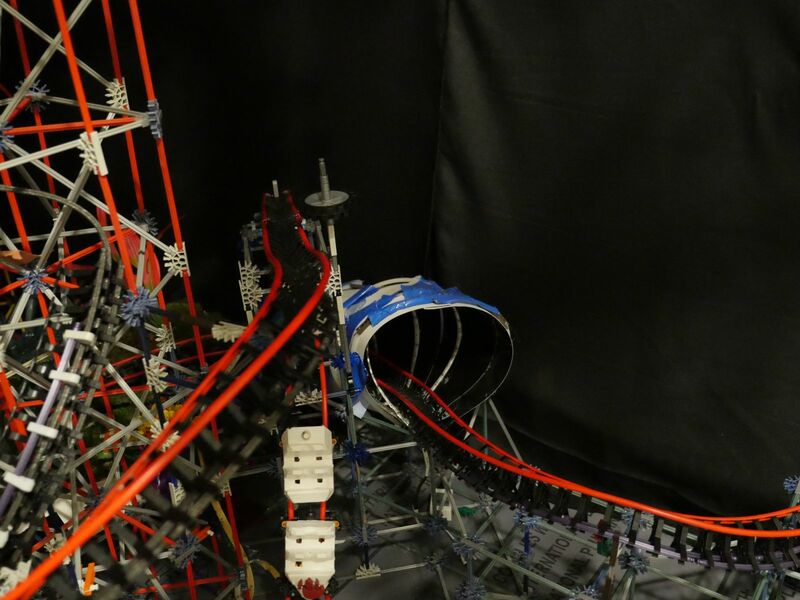 This is easily the most detailed and unique K'nex coaster I've ever seen, what a fun project! ^Thanks! It's been almost a year, but the circuit is now complete! I'll still probably have to tweak a few things, but it's working pretty consistently for how complex it is. The heavy theming has begun. I've mostly finished the first big show room scene. Enjoy!